I run a river outfitter and we are all about GREEN and the environment. I really think it is great to see you all doing such wonderful things for our land and air. Don’t give us much credit – our efforts are a drop in the river! We need you – DEMAND water treatment be in place! Make sure you ask the questions (“do you know if the fabric was produced in a mill that has water treatment in place?”) – I’ve been doing it and the salespeople look at me like I’m from another planet. And they are totally mystified by the question, but if enough people begin to ask, eventually the questions will filter down to corporate levels. Mills just might think there could be money to be made, and we’re in business. This article fabulously misuses sources. I read carefully both of the sources you cite in endnote #3 and neither of them say what you claim… that the Indian textile industry uses 425 million gallons of water per day. The only reference in either article to a number like that was that the Indian textile industry earns $425million per year. What is sad is that I have found a number of other articles online (blogs etc) that use this article as a source! So, thanks for beginning another chain of reproducing bad information. For anyone who reads this, always read and check your sources, as well as those cited by others for accuracy! In an article about the Noyyal River in India, it was stated that, because of textile industries along its banks, “over 100,000 cubic meters of effluents are let out into it, each day. 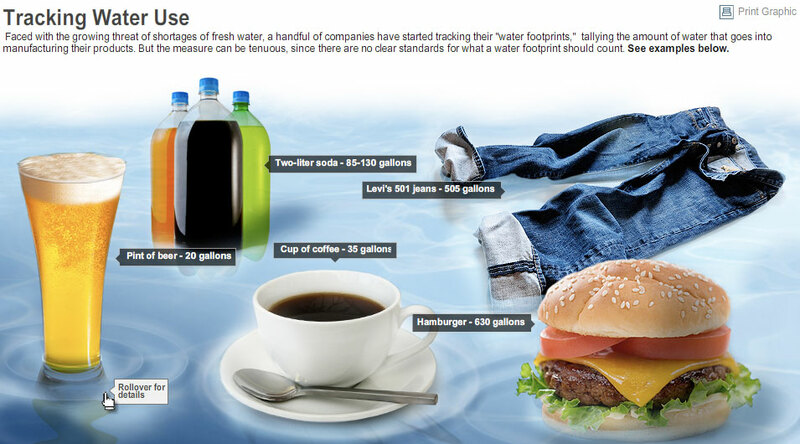 (1) In gallons, that’s 26.4 million gallons – but that’s just for one area of India, the Tamil Nadu region. We see that Tamil Nadu represents just 32% of the total number of mills in India – 741 of a total of 2324, or about one third (2)(according to The Central Pollution Control Board) or 35,496 according to another source(3) . If we simply triple the Tamil Nadu output (based on using the smaller quantity of 2324), we get 299,804,613 liters per day. So I thank you for pointing out my miscalculation, and I’ll note the change in our articles. But let’s not forget the most important point, which is that the textile industry in India is contributing to groundwater depletion and pollution so that the water is not even usable for agriculture, let alone drinking and cooking. I agree that this is “bad information” in that I made a mistake and miscalculated, but although it is inaccurate in that the actual quantity is much less than I stated, the damage produced by this much smaller quantity is still enormous and affects the health and livelihood of millions of people. 2 Advance Methods for Treatment of Textile Industry Effluents, Central Pollution Control Board, Ministry of Environment & Forests, April 2007. We use WordPress! Don’t know of any others, sorry.